Special counsel Robert Mueller walks past the White House, after attending St. John's Episcopal Church for Sunday morning services in Washington. Mueller closed his long and contentious Russia investigation with no new charges, ending the probe that has cast a dark shadow over Donald Trump's presidency. It should come as no surprise that reactions to the conclusion of Special Counsel Robert Mueller’s investigation and delivery of his report to the Department of Justice on Friday, vary by one’s political affiliation. That’s the biggest reason that Mueller’s report, the result of 22 months of investigation, should be made public. We realize that Democrats and Republicans, generally, will continue to see what they want to see in the findings. But, Attorney General William Barr’s summary is no stand-in for allowing Americans to see what Mueller and his team concluded regarding Russian involvement in the 2016 presidential election. 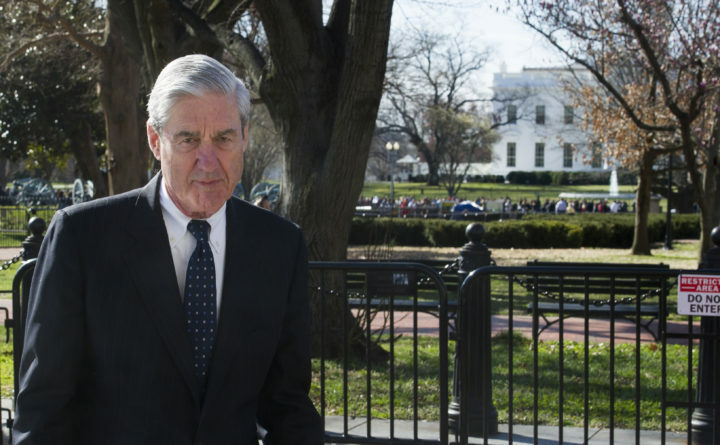 Mueller did not find that President Donald Trump or his campaign coordinated with Russian efforts to interfere in the 2016 presidential election, according to a four-page summary released Sunday by Barr. The special counsel did not reach a conclusion on whether Trump obstructed justice. “The Special Counsel states that ‘while this report does not conclude that the President committed a crime, it also does not exonerate him,’” the letter from Barr said. “Deputy Attorney General Rod Rosenstein and I have concluded that the evidence developed during the Special Counsel’s investigation is not sufficient to establish that the President committed an obstruction-of-justice offense,” Barr wrote in his letter. This leaves a lot of unanswered questions, especially because Mueller’s investigation has resulted in charges against 37 defendants, including Americans, Russians and three Russian businesses. Seven defendants have pleaded guilty and one, former Trump campaign chairman, Paul Manafort, has been convicted and sentenced to more than seven years in jail for a variety of crimes from his time as a lobbyist. The biggest unanswered question is why Mueller did not make a determination regarding obstruction of justice, leaving it instead to the Department of Justice and potentially Congress to weigh in — and thus opening the door for this process to be politicized even further. This — and many other questions — can only be answered if the full Mueller report, minus sensitive national security information, is made available, at a minimum, to congressional leaders including relevant committee chairs. Better yet, the report should be made public. Members of Congress from both parties, as well as independents, are calling for the report’s release. Earlier this month, the U.S. House of Representatives voted unanimously on a non-binding resolution to make the report public. “The American public needs more than a four-page summary from the President’s hand-picked Attorney General to determine the scope of the Mueller investigation’s findings,” Rep. Chellie Pingree, a Democrat who represents Maine’s 1st Congressional District, said in a statement Sunday. Sen. Angus King, an independent, said he was especially concerned that the Department of Justice reached a conclusion about obstruction of justice without sharing its justification for this decision. “That’s why I believe that AG Barr and his staff must show us their work, explain their decision, and expediently release as much of the report as possible, without compromising ongoing investigations or divulging classified sources or methods — and protect Americans’ full faith and confidence in our system of government,” he said in a statement Sunday. Sen. Susan Collins cheered Barr’s findings, but also called for more transparency. “It is good news for America, regardless of anyone’s political inclinations, that Special Counsel Robert Mueller’s investigation did not find that the Trump Campaign had conspired or coordinated with the Russian government to interfere with the 2016 election,” the Republican senator said in a statement on Sunday. “It is imperative that the report be released in as complete a form as possible so that the public can fully understand the rationale for the exoneration on the allegations involving coordination or conspiracy with the Russians as well as the inability of Mr. Mueller to reach a conclusion on obstruction of justice,” she added. That’s a tall, but sensible, order in these politically charged times. Making the report public can help cut through the partisan noise.